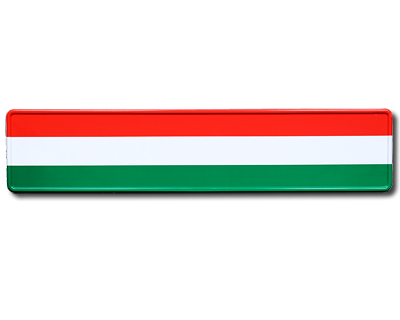 License plate with the hungarian flag covering the whole plate. Put your name on or other things that seems to be fun. The license plate is made of aluminum. Embossed letterings. Standardsize 520 x 110 mm. Max 17 characters/row.